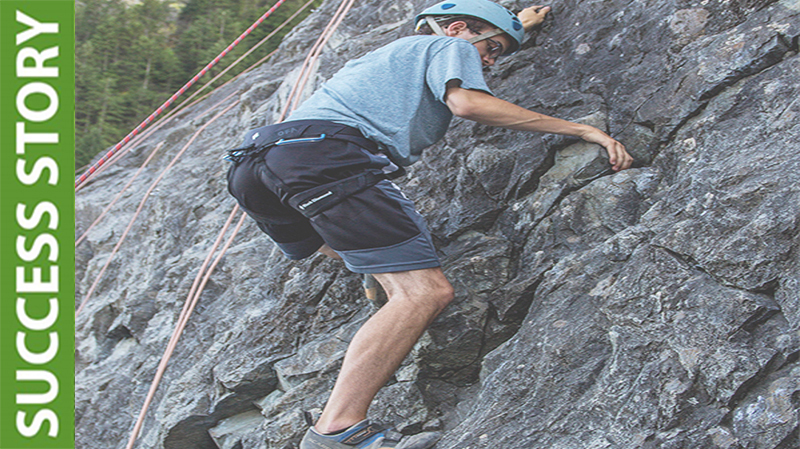 SUCCESS STORY: Climbing to success! Our participants face fears and challenge themselves by climbing with our highly qualified and energetic staff and volunteers. Justin is one of many participants climbing to success!